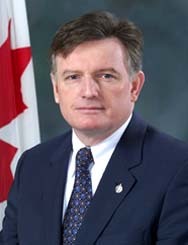 Liberal, elected to Canadian House of Commons in 1997. He supported the U.S. invasion of Iraq, and Paul Martin appointed Pratt as Canadian Defense Minister in 2003. He lost his seat and Ministry when the Liberal party lost its majority in the 2004 election.